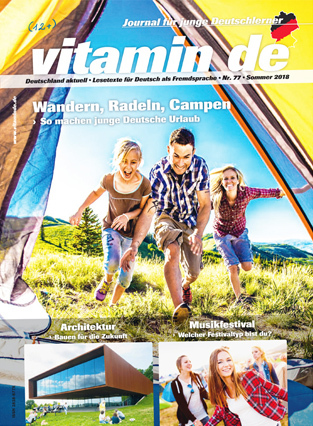 „vitamin de” is a great magazine for everybody who wants to learn German with the help of very interesting texts. It is a journal for young learners of German, language teachers and all German fans worldwide. It offers reading texts, audios and materials on current topics: Youth, regional studies, school, studies, society, culture, trends and architecture in Germany. It is published four times a year as a printed edition. It is suitable from level A2 / B1. It´s also very good value for money!